Several manmade attractions can be found along the Grand Canyon's South Rim. They include such things as shops, eateries, historic buildings like the Hopi House (1905), an IMAX Theater, and the Yavapai Observation Station, which is east of Market Plaza and offers geology exhibits to go with its breathtaking canyon views. The oldest human artifacts that have been found in Grand Canyon National Park are approximately 12,000 years old, and there has been continuous occupation of the area since that time. The Grand Canyon was first given Federal protection in 1893. It was originally a Forest Reserve and then a National Monument. It was finally awarded National Park status in 1919. While the average distance across the Grand Canyon is just 10 miles, it takes approximately five hours to drive the 215 miles from the South Rim Village to the North Rim Village. A number of animals can be found in Grand Canyon National Park. The bird species alone total more than 350, and there are nearly 90 different mammal species. In relation to the park's plant life, there are more than 1,500 species. Nobody knows for sure how the Grand Canyon was formed. More specifically, there are questions about the specific geological processes and the exact timing of it all. What is known is that water played a key role. Flowing through the Grand Canyon is the Colorado River, and this venerable waterway is largely responsible for carving out the immense chasm. A recent study suggests that the Colorado River shifted its course and began flowing through the Grand Canyon area some 17 million years ago. Water isn't the only natural element that is responsible for forming the Grand Canyon. Others include wind and volcanism, and there are geologists who also point to such factors as continental drift and variations in the Earth's orbit. Either way, the canyon is a visual wonder, and within its realms, approximately two billion years of geological history are on display. Multi-colored ribbons of sedimentary rock tell much of the story in terms of the geological history, and they also lend to the scenic splendor of the canyon. As the light changes throughout the day, so too do the colors of the Grand Canyon. Therein lies much of the scenic allure. Every year, approximately five million people come to Grand Canyon National Park to see it all for themselves, and you can rest assured that most, if not all of these visitors are blown away by the canyon's depth and majesty. A number of hiking trails either follow along the canyon rims or lead down into the canyon itself. 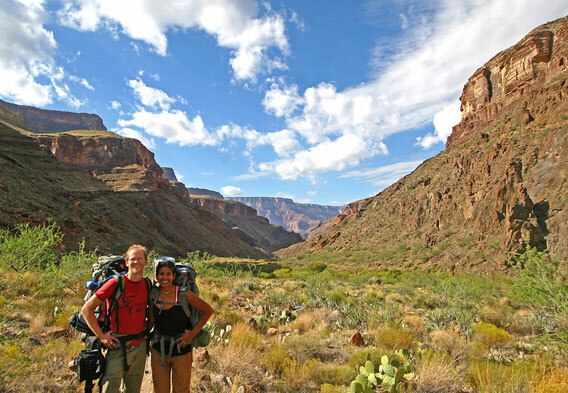 The popular trails are those that are found along the more visited South Rim - an example being the famed South Kaibab Trail. This trail along Yaki Point Road leads all the way down to the Colorado River, and round trip day hikes can be six miles long. Guided Grand Canyon hiking trips can be arranged by those interested. It should be noted that none of the trails that lead into or out of the Grand Canyon are easy, and hikers are discouraged from hiking from the rim down to the river in one day, especially during the hot May-September months. Rafting trips down the Colorado River provide an amazing perspective of the deep chasm, and they range from single to multi-day affairs. Rafters can stick to smooth water or indulge in whitewater adventures according to their wants and needs, and it is possible to enjoy both commercial and noncommercial Grand Canyon rafting trips. The self-guided, noncommercial raft trips require a permit that is pretty tough to get, and even if you are trying to book a guided commercial trip, you might have to arrange everything up to one or two years in advance. 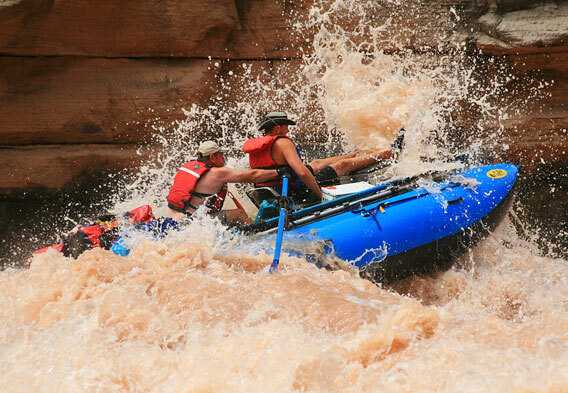 In other words, river rafting trips in the Grand Canyon are in high demand. 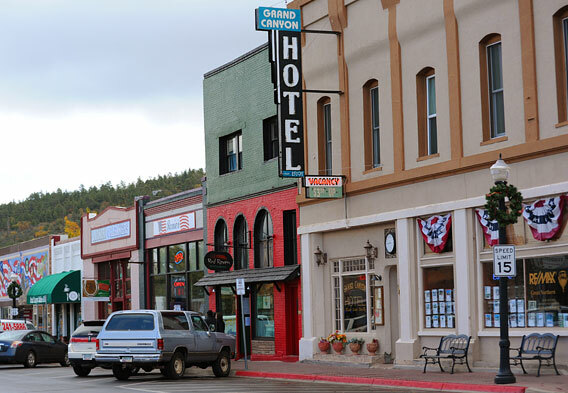 Lodging is available within the confines of Grand Canyon National Park. The South Rim is where most of the in-park accommodations are found, with examples including the El Tovar Hotel, the Bright Angel Lodge, the Maswik Lodge, the Thunderbird Lodge, the Kachina Lodge, and the Yavapai Lodge. On the North Rim, the only hotel that is available is the Grand Canyon Lodge. As for other Grand Canyon lodging options, they include campsites and the Phantom Ranch. The Phantom Ranch offers nine cabin rentals and is the only park lodging that can be found below the canyon rims. Access to the ranch is achieved by hiking down, riding a mule down, or rafting in along the Colorado River. Grand Canyon National Park rooms and campsites tend to fill up quickly, so booking as far ahead as possible is recommended, especially if you wish to stay at the remote Phantom Ranch. It often sells out more than a year in advance.